This historical room is located on the 2nd floor of Wesley Hall, the oldest building on campus dating back to 1896. 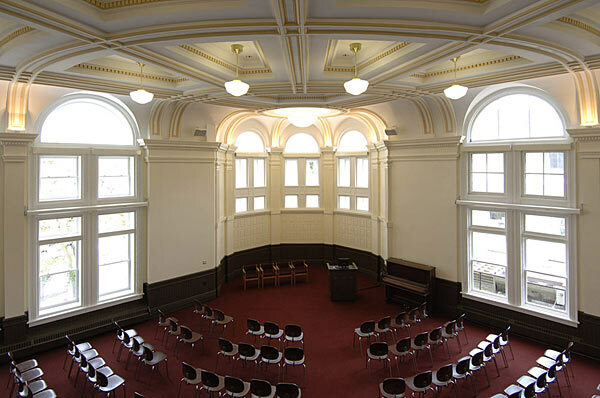 The hall has a traditional academic aesthetic, complete with a balcony accessed from the 3rd floor. Seating is a mix of fixed and flexible. Ideal for keynote addresses, corporate events, weddings or small receptions. Common uses: public lecture space, special convocations and private banquets.